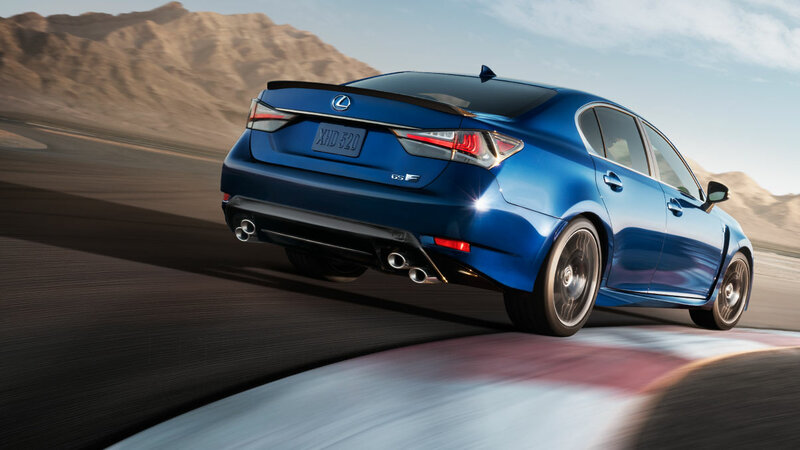 The Lexus GSF is the ultimate performance sedan for those that refuse to compromise practicality for performance. Taking the power of the original GS to another level with a larger, naturally aspirated V8, the GSF is a eye-catching daily driver, and a capable track weapon. Powered by a Naturally Aspirated 5.0-Liter V8 that produces 467-horsepower and 389 lb-ft of torque, the GSF takes performance to another level. Having a four-door sedan with plenty of trunk space that can also take you from 0-60 mph in just 4.5, turns what would otherwise be a boring drive into an exhilarating experience. 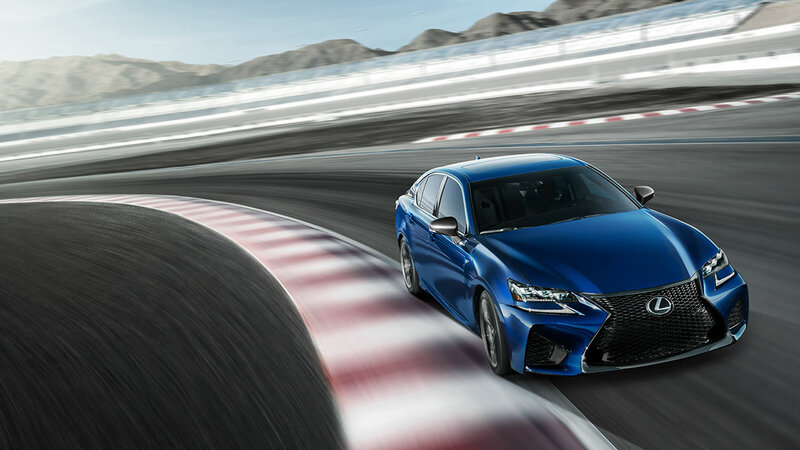 For those that love to push their cars to the limits, the GS F comes track ready with brembo brakes, sport bucket seats, torque vectoring differential, and F-Adaptive variable suspension. While it was made for the street, the GSF was actually created on the famous Fuji Speedway, so it is no stranger to a track. The exterior of the GSF also receives some attractive, and functional upgrades over the GS. Most notably are the new quad-exhaust pipes on the pipe that are tuned to deliver an excellent, throaty exhaust sound. You also have more active aerodynamic systems in place on the side to improve downforce and a new carbon fiber spoiler that also increases downforce. The instrument cluster on the GS F was especially designed with the track in mind. Besides the sporty, LFA inspired instrumentation you also have special G-meter and laptimer functionality built in. 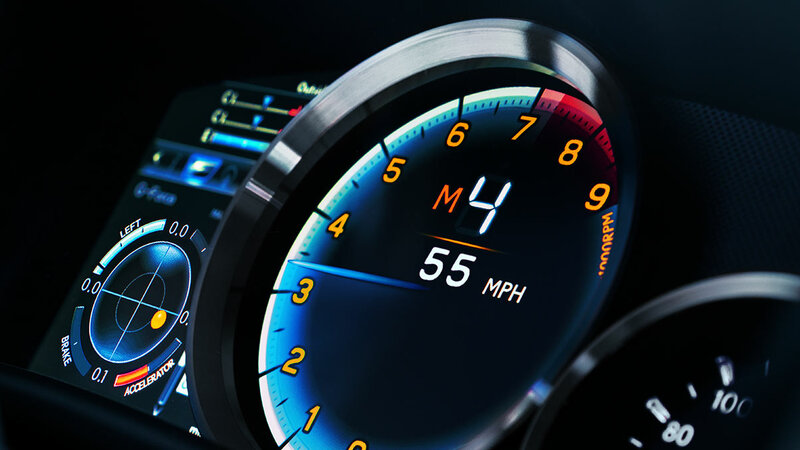 This instrument cluster is also dynamic depending on which driving mode you're on, changing to a more aggressive design in sport and sport + modes. 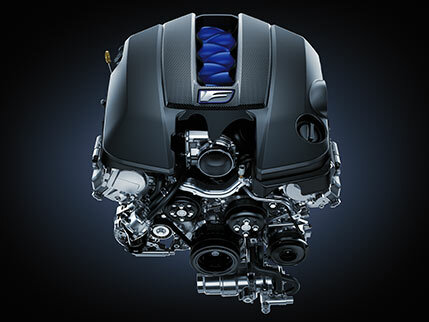 The GS F also has the same great technology you expect from a GS. You have a standard 12.3-in multimedia display that comes with navigation. You also have the option to upgrade to a Mark Levinson surround sound audio system for richer media consumption. 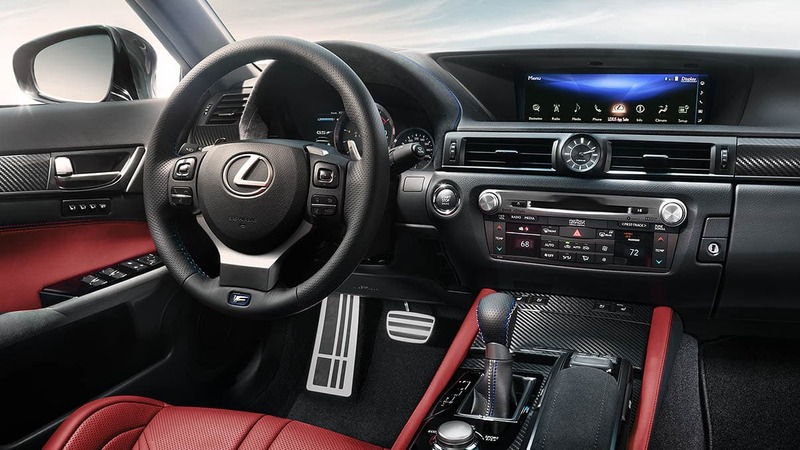 Additionally, the interior of the GSF is exceptionally crafted with an impressive attention to detail everywhere from the sport seats to the door panels.